Streaming is the quickest way to access internet-based content, but it's not the only way. Progressive download is another option that was used for years before streaming was possible. The key differences between progressive download and streaming are when you can start using the content and what happens to the content after you're done with it. Progressive downloads are the traditional kind of download that anyone who's used the internet is familiar with. When you download an app or game or buy music from the iTunes Store, you need to download the entire thing before you can use it. That's a progressive download. Streaming is different. Streaming allows you to start using the content before the entire file is downloaded. Take music: When you stream a song from Apple Music or Spotify, you can click play and start listening almost immediately. You don't have to wait for the song to download before the music starts. This is one of the major advantages of streaming. It delivers data to you as you need it. The other major difference between streaming and downloads is what happens to the data after you use it. For downloads, the data is stored on your device until you delete it. For streams, the data is automatically deleted after you use it. A song you stream from Spotify isn't saved to your computer (unless you save it for offline listening, which is a kind of download). Streaming requires a relatively fast internet connection — just how fast depends on the type of media you are streaming. 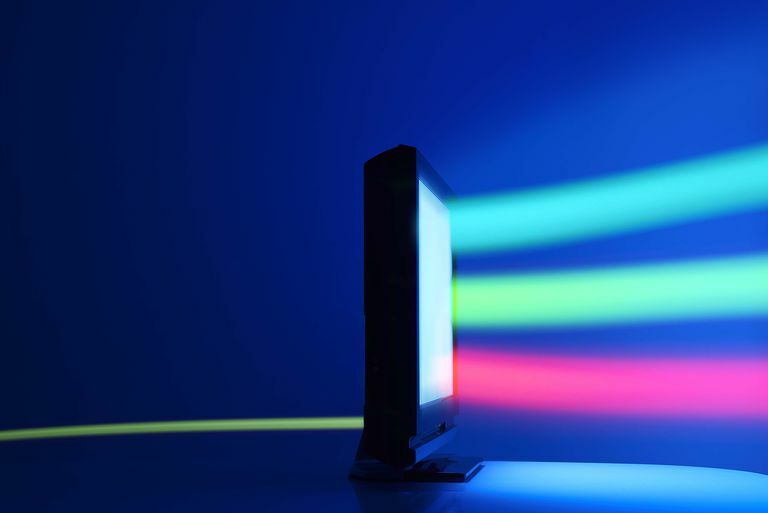 A speed of 2 megabits per second (Mbps) or more is necessary for streaming standard definition video without skips, reductions in quality, or buffering delays. HD and 4K content requires higher speeds for flawless delivery: at least 5 Mbps for HD content and 9 Mbps for 4K content. Live streaming is the same as the streaming discussed above, but it's specifically used for internet content delivered in real time as it happens. Live streaming is popular with live television shows and special one-time events or sports. Streaming has traditionally been used to deliver audio and video, but Apple has recently implemented technology that allows streaming to work with games and apps too. This technique, called on-demand resources, allows games and apps to include a core set of features and functions when the user first downloads them and then to stream new content as the user needs it. For example, a game might include its first four levels in the initial download and then automatically download levels five and six when you start playing level four. This approach is useful because it means downloads are quicker and use less data, which is especially important if you have a data limit on your phone plan. It also means that apps take up less space on the device they're installed on. The most common streaming error that crops up has to do with buffering. The buffer is a program's temporary memory that stores the streamed content. The buffer is always filling up with the content you need next. For example, if you watch a movie, the buffer stores the next few minutes of video while you're watching the current content. If your internet connection is slow, the buffer won't fill up quickly enough, and the stream either stops or the quality of the audio or video is reduced to compensate. 15 Terrific iPhone Radio Apps.